The Fender Standard Telecaster is undoubtedly one of the greatest electric guitar advancements of the 20th century. It features the best of both worlds ” the old and the new. This electric guitar does exactly what it states ” it has set the standard for all the other electric guitar manufacturers to keep an eye on and follow. This is a historic instrument with its origins that brings us back to the birth of electric guitars having a solid body. At the present time, musicians all around the globe love the Standard Telecaster by Fender as much as they did in the good old days. This is definitely one of the most popular guitars of all time. Despite its feature of having only two single coil pickups, the Fender Standard Telecaster sounds absolutely amazing. A classic and clean tone can be heard from the neck pickup. You can hear the iconic Telecaster twang being produced by the bridge. If you are a different music preference, the middle produces a bright and vibrant sound which is perfect for any kind of music. Undoubtedly, the Standard Telecaster is very easy to use and understand. You are assured of having a comfortable feel. The electric guitar is user-friendly. Fender indeed paid a lot of attention to player-centric details. For example, the nut work, fret and the fret edges which are rolled. This Tele has great playability. The material of the body is made of traditional alder. Its body shape is that of a Telecaster®. It has a polyester finish in different colors such as arctic white, black, brown sunburst, candy apple red and lake placid blue. The material of the neck is made of 1-piece maple. Its neck shape has a modern “C” shape. It has a satin urethane finish on the back of the neck. In addition, it has a gloss urethane headstock finish on the face. The scale length of the neck is 25.5 inches or approximately 648 mm. The material of the fingerboard is also made of maple. The radius of the fingerboard is 9.5 inches or approximately 241 mm. There are 21 medium jumbo-sized frets. The material of the nuts is made of synthetic bone. The width of the nut is 1.65 inches or approximately 42 mm. The position inlays are shown through black dots. The truss rod is standard. It has a standard 6-saddle strings-through-body Tele with block saddles. The hardware finish is chrome. The machine heads are Fender/Ping standard cast/sealed tuning machines. The control knobs have a knurled flat-top. The switch tip is color black. The neck plate has a 4-bolt standard. This electric guitar has an authentic Fender tone and unique vintage styling. It contains a Fender transition logo. It has parchment plastic parts. The strings are Fender Super 250L. It is made of nickel plated steel. The gauges are .009, .011, .016, .024, .032 and .042. With regards to its cost, this is definitely worth its price, and you will get the best bang for the buck. It can be used in many musical genres. 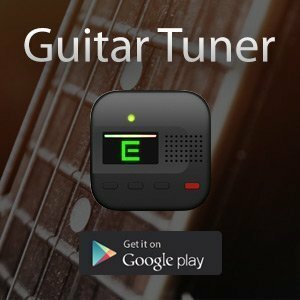 If you are into heavy rock or metal, all you have to do is to adjust the tone knob. 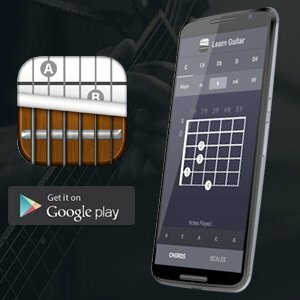 You may also use the neck or pickup found in the middle to adjust in relation to your musical preference. 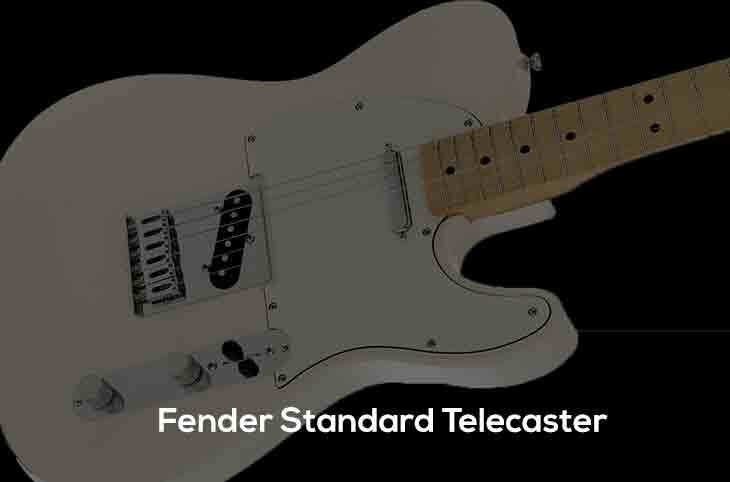 The Fender Standard Telecaster offers plenty of advantages. To begin with, it is fun to play and has a great sense of playability. It gives a good feel, good pick up, and a good tone altogether. The electric guitar has a solid construction. It can be easily modified. On top of that, it has a beautiful look. In all honestly, there are really no possible cons with this electric guitar. You will fail to find any cons with this one. If ever there is it would probably be failing to get this product sooner. It plays all genres from blues, country, jazz and rock. You can use the Fender Standard Telecaster for jamming, practicing, and recording. This is best used inside small venues or even as big as rock concerts. The Fender Standard Telecaster is a no-brainer. It is one type of electric guitar that you should settle with. You will not regret getting one as it will always be a good idea, regardless of your musical preference.